This post is inspired by a historic convening of Denver’s last four mayors for a keynote panel discussion at the 2017 Sustainable Denver Summit held on December 5, 2017. 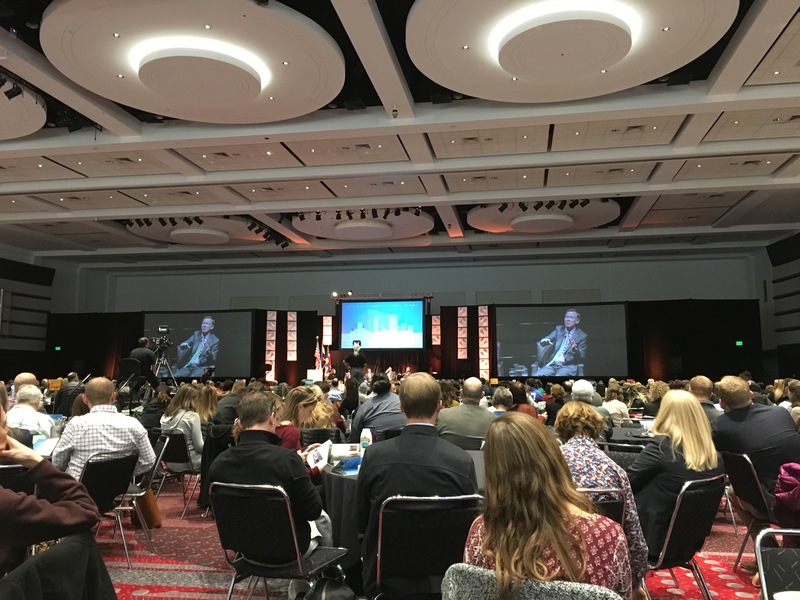 The summit’s theme was “Growing Responsibly.” This annual event set new attendance records, indicating that urban sustainability is a topic of great interest here in one of America’s fastest growing cities. Ten days earlier, a take-to-the-streets protest of the gentrification accompanying that growth dramatically underscored the sustainability issues at stake. First the mayoral panel; then the anti-gentrification protest. Federico Peña served as Denver’s mayor from 1983-1991. He was the first Hispanic elected to that office. Wellington Webb, the first African American mayor, followed in 1991-2003. John Hickenlooper, now Colorado Governor, served from 2003-2011. The current mayor, Michael Hancock, has been in office since 2011. Each of the mayors was asked to summarize their vision for the city. Each was eager to agree that their vision dovetailed with those of the three others. 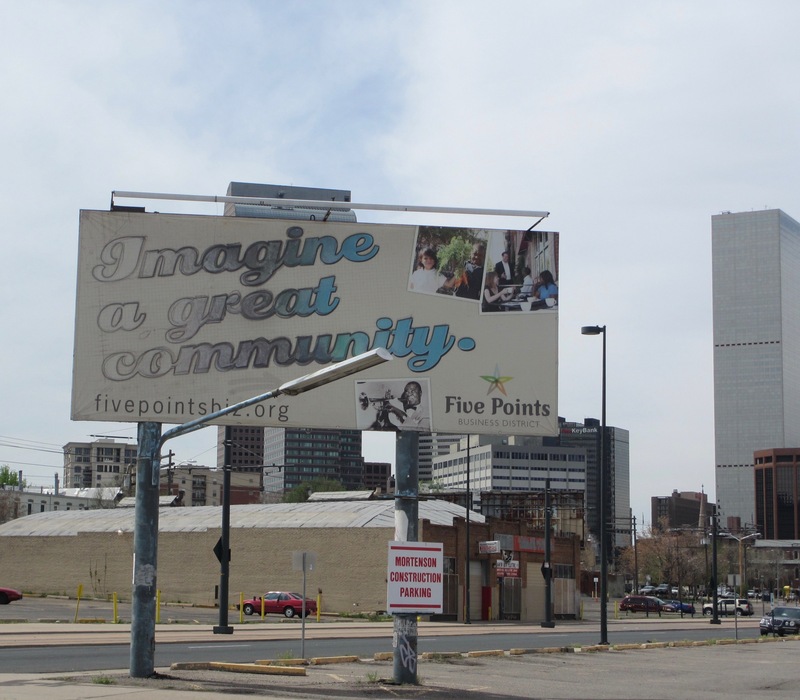 Mayor Peña framed the essential vision in his campaign slogan: “Imagine a Great City.” The slogan has been channeled numerous times, including in the “Imagine a Great Community” billboard that appeared in the Five Points neighborhood just a few years ago (pictured below; more about Five Points later on in this essay). Mayor Peña’s agenda prioritized transportation infrastructure, highlighted by a new Denver International Airport (DIA), and a regional light rail system. Transportation planning, in fact, is a major thread connecting all four mayoral administrations. Peña also brought major league baseball to town, with the new ballpark anchoring revitalization of the historic lower downtown warehouse district. Wellington Webb described Mayor Peña as a “transformational” mayor. Mayor Webb built on Peña’s legacy by seeing DIA to completion. His watch coincided with New Urbanist infill projects at the old Stapleton Airport and the de-commissioned Lowry Air Force base. Another highlight of Webb’s years in office was reclamation of land along the South Platte River in central Denver for commercial and residential redevelopment, as well as additional park space. Mayor Webb imagined a city that wouldn’t emulate others, but rather a city that would be a model for others. Given his history as a pioneering and successful brew pub owner in lower downtown, John Hickenlooper sought to make Denver pro-business. He imagined development around Union Station, Denver’s historic train terminal. An explicit mission was to make the city attractive to young people or, as he put it, “not just old white guys.” Live music venues and bike trails sprang up, along with many other brew pubs. Governor Hickenlooper reported that on his travels today he’s still asked about how other cities can be more like Denver. His answer always starts with the continuity of mayoral vision and leadership. The current mayor, Michael Hancock, served on Hickenlooper’s city council. Mayor Hancock’s campaign slogan was “We are all Denver,” implying that all neighborhoods will matter under his administration. He’s leveraging DIA as an economic powerhouse and boosting “smart city” development around it, as exemplified by the aptly named Peña Station. Hancock is overseeing the build out around Union Station that was imagined by Mayor Hickenlooper, and has made road improvement a top agenda item.The keynote panel moderator followed up the vision question by asking the mayors about the most critical sustainability challenge going forward. For Hancock, it’s more affordable housing and multi-modal mobility options. For Peña, it’s affordability and mobility as well as diversity: he “doesn’t want Denver to be like San Francisco,” a city that has priced non-white folks out of the neighborhoods. Webb urged that we continue to be visionary, while observing the Golden Rule of “do unto urban service providers as you would have them do unto you.” Governor Hickenlooper applauded current Smart City initiatives and urged more innovation and education geared to apprenticeship training and skills acquisition. However, the discussion completely ignored the sizable elephant in the room, which is gentrification, displacement, and the fact that many Denver residents believe that quality of life is not being equitably cultivated around the city. Ignoring the elephant wasn’t surprising given that the panel moderator is president and CEO of the Denver Chamber of Commerce. But the silence was all the more striking in the wake of an event that occurred the week before the Summit. That was the widely reported uproar sparked by an Ink Coffee promotional sign at their Five Points location celebrating the company’s role in “Happily Gentrifying the Neighborhood since 2014” (see reports in The New York Times, The Washington Post, and The Guardian). Traditionally known as Denver’s historically black neighborhood, Five Points has been undergoing rapid change in recent years. 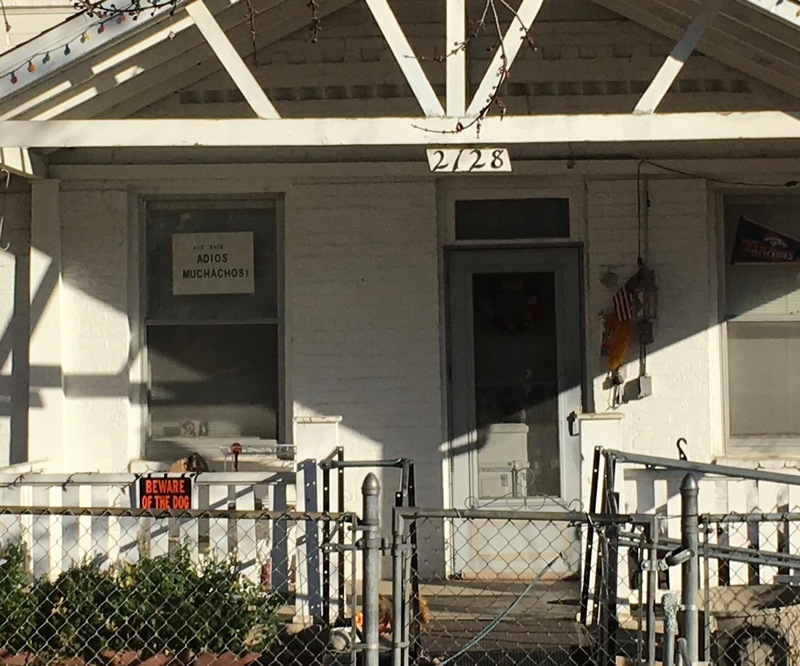 The changes are akin to those occurring in other Denver neighborhoods. Thus, anxiety and emotions are running high across the city. 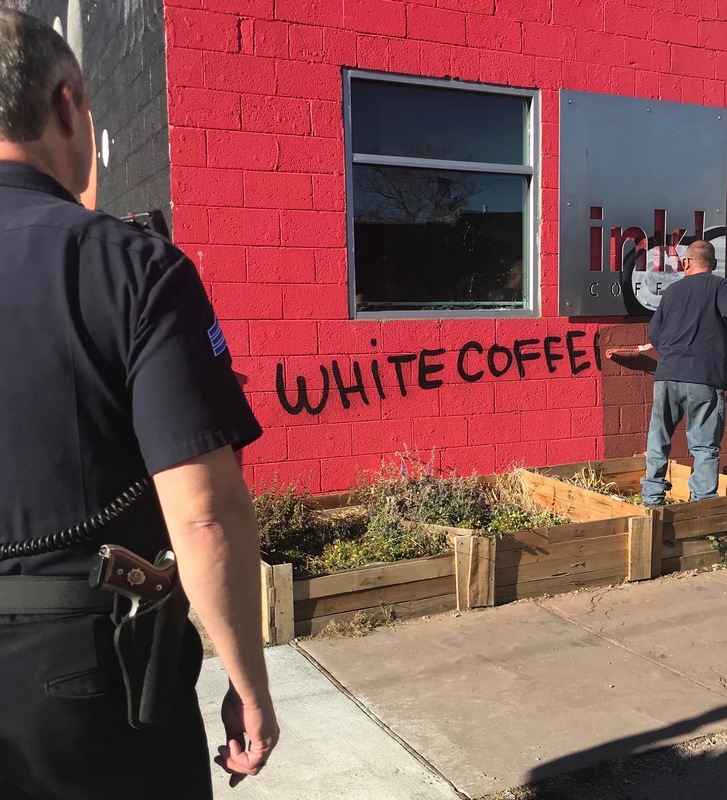 In Five Points, the immediate form of citizen pushback was vandalism of the coffee shop: a window was broken and “White Coffee” was spray-painted across the front. A couple of days later more measured pushback took the form of an organized street protest in front of the coffee shop. A number of community organizers and activists offered development counter-narratives to those presented by the last four Denver mayors (for some video, go here). Speakers excoriated politicians of all stripes for failing local communities. Developers were condemned for their greed and erasures of cultural history, manifested in part by the “symbolic violence” that’s associated with the trendy re-naming of Denver neighborhoods. Some spoke to the fact that what’s happening around town today is about class as well as race: poor white people are also suffering. Protest leaders seized on that fact to propose an inter-racial, city-wide coalition for change. There were calls for building community centers rather than coffee shops, creating more minority-owned businesses, and establishing community land trusts. But most importantly, the call was for voters to hold politicians accountable, and to take matters into their own hands in the next election cycle for mayor and city council. Accumulated historical and scientific knowledge is on the side of the protestors and their leaders. Certainly, cities are sites of constant flux and change—as they have been for millennia. But as in the past, today’s changes are caused by historically contingent forces associated with a particular political economy. Physical and/or psychological displacement, skyrocketing land prices and rents, cultural erasure and, especially, the ripple effects of gentrification that impact other areas of a city are demonstrably linked to global capitalism’s tendencies toward “creative destruction” of surplus wealth. Today, wealth and innovation are spatially concentrated in a few cities and a few neighborhoods within those cities, while other cities and neighborhoods are either by-passed or hollowed out. There’s nothing “natural” about this political and economic dynamic: it’s a (typically temporary) spatial fix [pdf] for absorbing the wealth generated by a free market economy via infrastructural investments, “urban dream” promotion, and rampant consumerism. The system will conceivably meet future needs to absorb surplus wealth in other ways. Contingency is an invitation to participate in history. So, the choices presented by neighborhood gentrification aren’t simply to adapt or migrate—as if human beings were so many distinct biological communities evolving in the bush. Rather, the challenge is to imagine alternative models of comprehensive, city-wide development capable of producing equitable access to housing options, employment opportunities, healthy and affordable food, public and open space, and cultural amenities. And, to do this while respecting neighborhood histories and identities. People have always assigned deep cultural meaning to space. That’s how space becomes place. Thus, residents of gentrifying communities shouldn’t be expected to go quietly into the night. We need new visions and models of urban development. There’s a vast, largely untapped body of background knowledge that’s relevant to this task. As an anthropologist, I’m keen to consult knowledge that’s available from the study of ordinary and pre-modern cities. This comparative ethnographic and archaeological work is only now beginning to gather steam. The silence about the Ink Coffee incident at the mayor’s Sustainability Summit, and the simplistic, binary terms in which the gentrification debate is often cast by its defenders and apologists indicate how far we have to go to create a better conversation about today’s urban sustainability challenges. This conversation should be cognizant of the global forces that shape change in cities, and the variable ways in which services have been provided to city-dwellers across time, space, and cultures. This endeavor might not be sufficient to close the gap between the kind of community our civic leaders imagine and the one that actually exists for citizens on the ground. However, it certainly seems necessary.